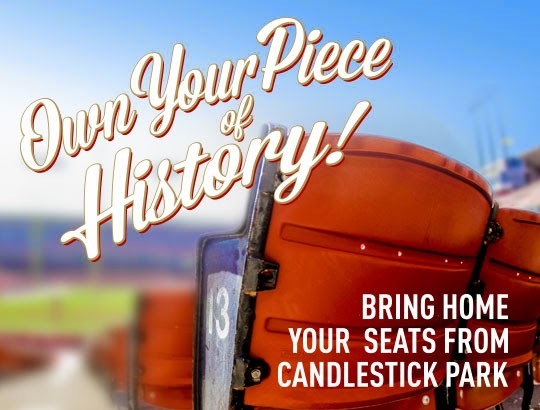 Candlestick Park seats are on sale, as the 49ers closed out the last season there. Sales benefit the San Francisco Recreation and Parks department youth programs. You can buy seats in pairs - $749 a pair, with a maximum purchase of eight seats (four pairs). Purchase via Ticketmaster - not sure what fees they have on top of that. Use promo code GO49ERS. You'll get the seats in late 2014.